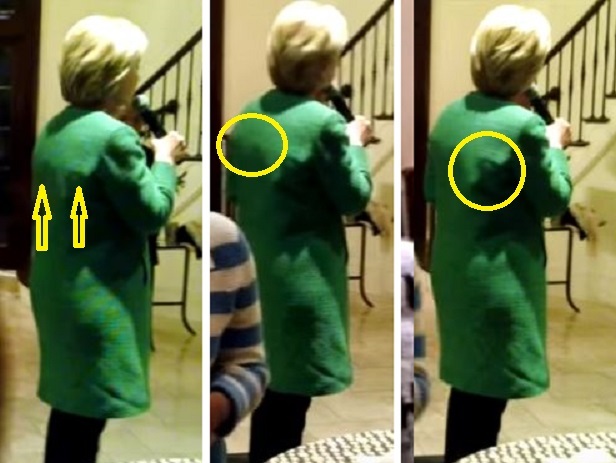 Does Hillary Wear A Catheter? 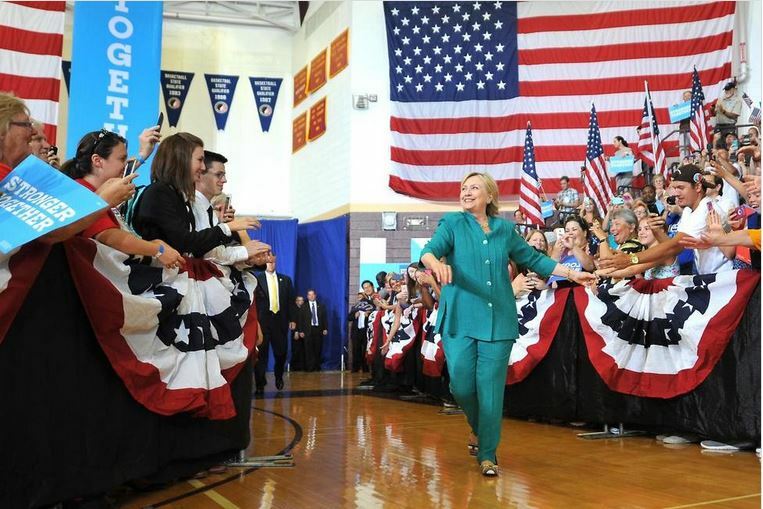 Hillary Clinton wears a catheter? Now a photo has cropped up, showing what appears to be a catheter beneath her pant leg. Look at Hillary’s right thigh. I cropped and enlarged her to get a better view of that right thigh. See that strange tube-shaped line running from her crotch, diagonally across her right thigh to above her right knee? 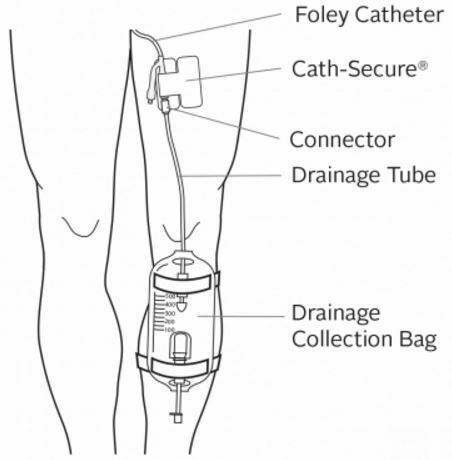 The tube of a Foley catheter has two separated channels, or lumens, running down its length. One lumen is open at both ends, and drains urine into a collection bag. The other lumen has a valve on the outside end and connects to a balloon at the tip. The balloon is inflated with sterile water when it lies inside the bladder to stop it from slipping out. Foley catheters are commonly made from silicone rubber or natural rubber…. A Foley catheter would explain why Hillary was late getting back to the Democratic presidential debate on December 19, 2015, in Manchester, NH. After the ABC telecast returned from a commercial break, only two of the three participants were onstage — Bernie Sanders and Martin O’Malley. Missing was Hillary Clinton, who strolled in moments after the action resumed, repositioned her microphone and said “Sorry,” but did not explain her absence. According to The Boston Globe, Hillary had gone to the ladies’ room during the commercial break. She even had a campaign employee on bathroom duty to make sure she could quickly get in and out of the restroom to return to the stage. 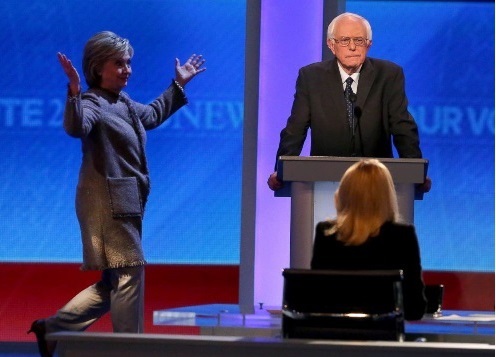 But when the staffer let in O’Malley spokeswoman Lis Smith, instead of sharing the restroom with Smith, Hillary waited outside, which led to the delay returning to the debate. The answer: Because Hillary didn’t want Smith to see she was wearing a Foley catheter. Was Chester Bennington suicided just like his close friend Chris Cornell? Why are gay men permitted to strip down anytime and anywhere? YouTube Took Down My Video Exposing CNN — And You Won’t Believe Why! Why are papal surrogates comparing US Christians to terrorists? Trump demands action on Obamacare—NOW! The Time To Restore The Republic Is Now! Will Trump Drain the Swamp or Has He Made the Deal with the Devil? No, Rep. Adam Schiff! Your endless lying and manipulation are quite disturbing. Really? Is this the best they can do? A policeman kills a pajama-clad woman after ‘hearing loud noise’! Why did a Minneapolis police officer shoot yoga teacher Justine Damond? Trump must be doing something right about illegal immigration to receive this accolade! Is Trump really going after child trafficking? How about the VIP pedophiles? Was Stanley Meyers murdered by the gov’t after turning down a $1 billion offer for his water fuel cell invention? IT’S GAME ON! Trump Administration teams up with Alt Media to destroy the Mainstream Media. When CNN finally goes down, it will be because of this. Remember This Feminist Demagogue! She’s a 21st cen. Joan of Arc who is working for the wrong side. MSM determined to rekindle fake news story about Donald Trump Jr.
Isn’t it really the “Fake News Media Complex”? Why won’t the firm that ordered bogus Russian dossier on Trump testify before Congress? Has the real Trump presidency has now begun? 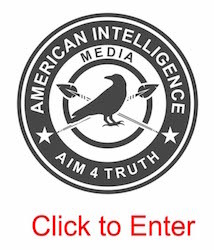 Why are the Democrats calling for a criminal investigation of the top Alt Media news sites? Why is San Fransisco’s BART withholding videos of transit crime? Really? A ‘Subliminal Message’ Spotted At Yellen’s Hearing—But The First Comment Is Really Priceless! Despite That Handshake, The Real Agenda Remains War! What’s the difference between a “nothing burger” and “something burger”?